Sore Eyes From Staring At The Computer? Your smartphone and computer screen exposes your eyes to harmful blue light rays that hurt your vision. Protect your eyes and add our blue light protection, computer lenses in your frames starting at $97. Available in prescription or non-prescription lenses! Looking to replace the lenses in your eyeglasses online, at a fraction of the cost? A different kind of eyeglass repair. Order new lenses for your existing frames. We are a lens replacement service for your eyeglasses and sunglasses. Specify your lens options with our easy to use order tool, so we know exactly what you want. 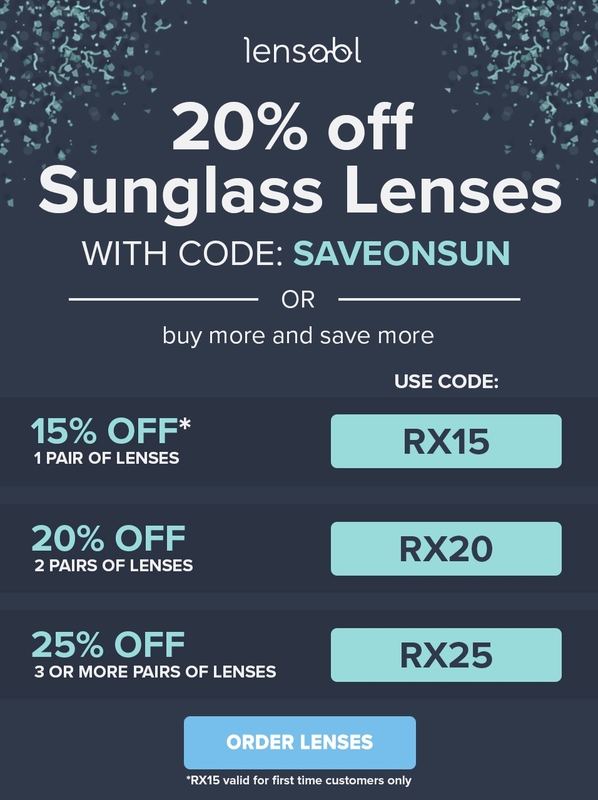 We offer clear prescription lenses, prescription sunglasses lenses, prescription transition lenses, reading lenses, and prescription computer lenses (blue light blocking lenses). We also offer single vision lenses, progressive lenses, traditional lined bifocals, and trifocals. Our lens options cover your standard CR39 lenses and polycarbonate lenses. For our high-index lenses you can change lens online. We offer sunglasses lenses in a variety of tinted, mirrored, polarized, and gradient color options -- and can even color match your existing lens color. We can also customize tint levels. Can’t find what you’re looking for? Send a support ticket or email to make further specifications to your lenses only. Enter or upload your prescription when placing your order, or opt to email your eyeglass prescription to us at a later time! Skip the line at the optometrist office, and take advantage of our delivery service! We send you a box with a prepaid shipping label, for you to send your frames to us!